Credit growth for the industry has rebounded to 14.7 per cent according to the latest RBI data, compared with nearly 12 per cent in Q2FY19 and Q2FY19. The quarter gone by has been an eventful one for the financial services sector (BFSI). The sudden exit of the Reserve Bank of India (RBI) Governor, default by one of the largest corporate entities in India (IL&FS) bringing the eminence of the Lehman moment in the country, a subsequent sharp decline in bond yields and substantial rise in incremental capital infusion (recapitalisation of public sector banks), among other things, were important developments during the period. Credit growth picks up momentum: Credit growth for the industry has rebounded to 14.7 per cent according to the latest RBI data, compared with nearly a 12 per cent in Q2FY19 and Q2FY19. While the RBI data for sectoral credit comes with a lag, it seems quite visible that the growth rate for corporate loans is yet to pick up. So it is fair to assume that growth during the quarter is again backed largely from the retail space. NBFCs, which had been facing liquidity issues and a rise in cost of funds, must have gone slow in disbursals and that business could have flown to the banks. However, the silver lining is that credit demand from the mid-segment corporate players has picked up a little. If one looks at RBI data, the share of retail credit has been continuously going up and stood at 25.3 per cent at October-end, a 60 basis point (bps) rise over FY18 end. On the contrary, the share of credit to industry has been going down — 33.5 per cent, down 150 bps during the same period. Liquidity back in the system: The beginning of the quarter witnessed liquidity crunch-like situation and RBI was quite proactive in taking measures to ease the situation. In fact, after the RBI’s bi-monthly policy meet, it conducted four Open Market Operations (OMOs) and injected nearly Rs 50,000 crore into the system. In January as well, the RBI announced OMOs to the tune of Rs 50,000 crore. So there is certainly a lot of normalcy as far as liquidity in the system is concerned. The 10-year bond yield also has softened by nearly 70 bps over the past quarter and we expect mark-to-market (MTM) gains on bonds for PSU banks, or at least reversal of losses booked in the previous quarter. 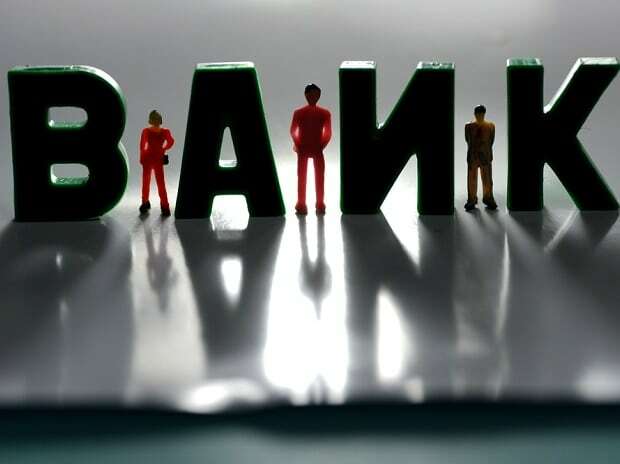 Asset quality to remain stable this quarter: While the IL&FS issue has brought in some amount of worry with respect to asset quality, the slippages for most of the banks have witnessed a slowdown. That was visible in the Q2FY19 numbers. Lower slippages and easing funding costs should help maintain net interest margin (NIM) during the quarter. However, ageing provisions will continue to be there and, hence, credit costs would still remain elevated during the quarter. Also, after a few large accounts, no major progress has been seen in the NCLT-related cases, so any major recovery and upgrade is unlikely during the quarter. While there is some good news for the PSU banks, they are still not out of the woods. Capital infusion by the government will certainly help in meeting the regulatory norms or cleaning up of the books but the resultant dilution in return on equity (RoE) is not favourable for equity Investors. On this front, private banks deserve premium valuations. While we believe that retail-led banks will continue to do well, large corporate lenders also seem well-positioned. Accordingly, we remain positive on HDFC Bank because of its stable asset quality. ICICI Bank is still undervalued despite the recent run up, so we have a positive view on it. In case of Axis Bank, we would like to wait for a clear strategy to emerge after a change in management before turning positive on it. The author is Research Analyst at SMC Global -Institutional Equities.